The Proteus AR system is manufactured from aluminium and is fixed to the Proteus carrier system via an ingenious plastic clip system. 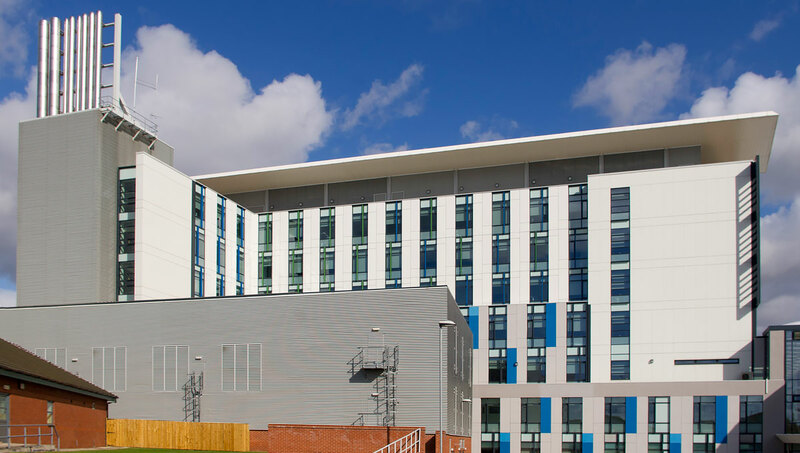 Manufactured from extruded aluminium for strength and accuracy, ingenious clip, frame, fixing and support systems give flexibility and seamless integration into all types of buildings. Specifically designed to easily integrate into modern building fabrics, the range has been fully designed and rigorously tested with strength, aerodynamic, weather and shading performance results available. 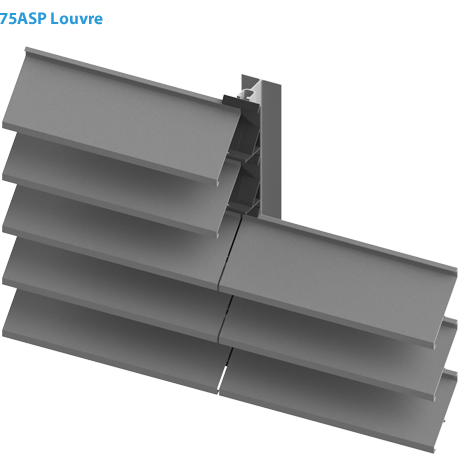 We can also manufacture bespoke louvre systems using sheet metal creating individual blades using materials such as copper, zinc and stainless steel for integrating within specific facades. Sheet material can also be formed into our continuous profiled louvre range for a more economical solution. 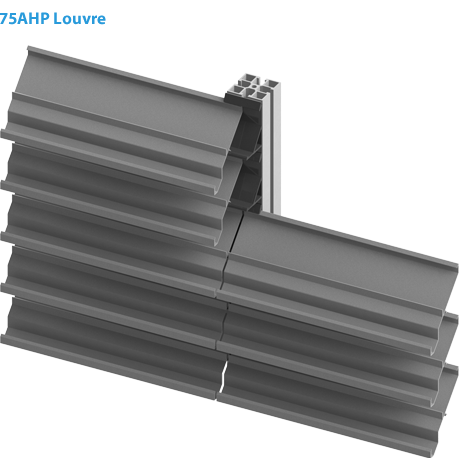 Framed Modular Louvres are available with louvre blades pre-built into frame surrounds for immediate site installation. Integrated edge details are formed to interface with all manner of facade systems. Frameless Continuous Louvres are offered in a range that includes screening louvres, standard weather louvres and also high performance weather louvres. 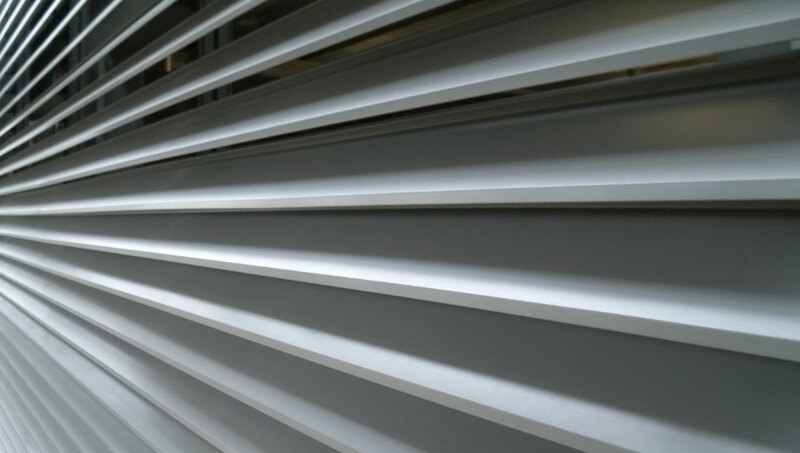 Continuous louvres are fabricated into kits for assembly on site; jamb, head and cill flashings are provided for integration with all façade systems or for fitting within building openings. Louvre Doors are pre built within our factory and can be flush integrated within our Continuous Louvres or offered with a frame for incorporating within a façade or opening. Our doors are provided with all ironmongery and can be built to specification including hinges, pivots, cylinder locks, fob access, keypad access, panic bars and dead bolts. A full range of optional accessories for our louvres is offered including bird guards, insect mesh, single skin blanking plates and insulated blanking plates. 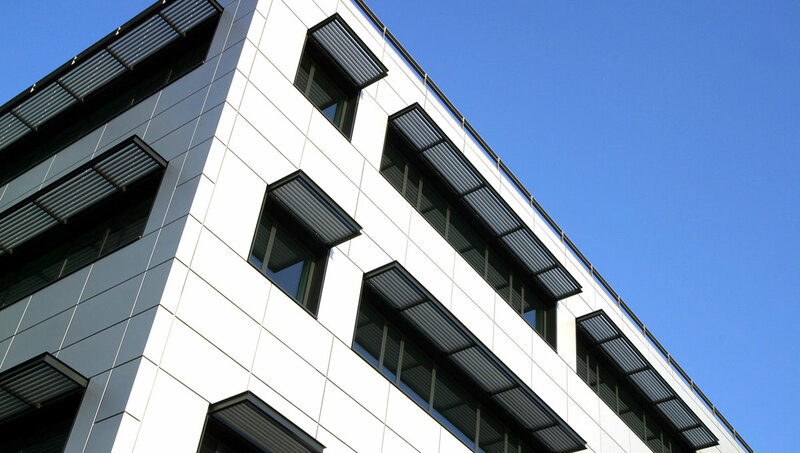 Brise Soleil is designed to assist with meeting the requirements of current Building Regulations. 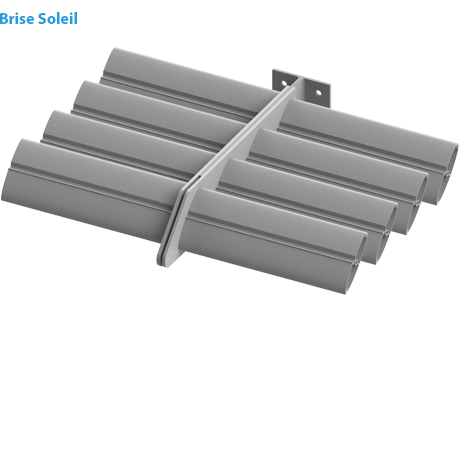 Brise Soleil reduces the unwanted solar heat gain on a building subsequently reducing the need for further energy usage from Air Conditioning whilst maintaining desirable daylight. The range comprises extruded aluminium fins together with support arms and fixing brackets, designs and engineering to can be provided to suit individual projects where necessary.